The Curse of Chalion is about a soldier named Cazaril who has fallen on hard times due to political machinations. A previous employer within the royal family gives him a job as her granddaughter's secretary/tutor. Everything is going fine until his charge and his charge's brother are asked to return to court. Court is filled with villains who want to use the young royals to gain power and line their pockets with gold. These political intrigues would be potentially manageable for Cazaril, if this world did not also contain magic and fickle gods. I really enjoyed this book. I did not know what to expect when I picked up this book, and I was pleasantly surprised. Although this book is in a fantastical realm, the crux of the book is political intrigue. I honestly did not know how everything was going to work out at times. I am looking forward to reading the other two books in the series. 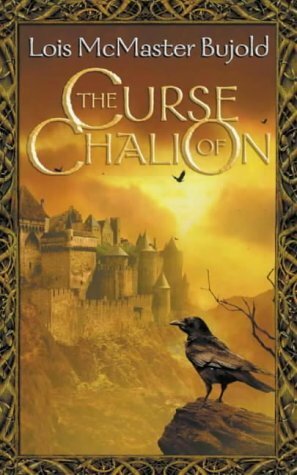 Sign into Goodreads to see if any of your friends have read The Curse of Chalion. 20.0% "Not sure where this is all going, but I am enjoying the ride!"